6 Bedroom Detached House For Sale in Nottingham for Guide Price £595,000. 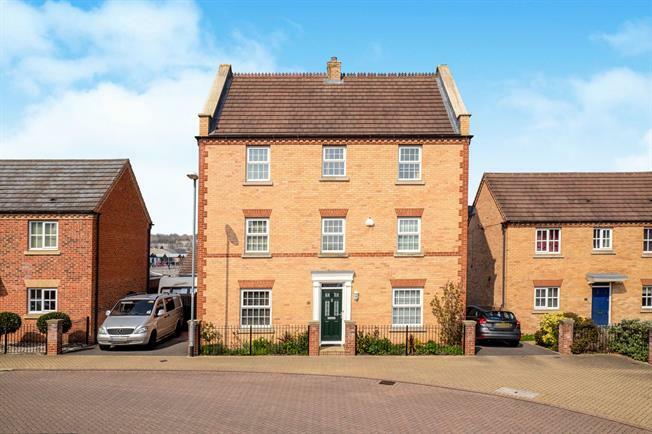 A substantial modern six bedroom detached house with two en-suite bathrooms and is one of the largest properties within this sought after area. The ground floor has the benefit of good size reception rooms, fitted kitchen with a spacious seating area, utility room and a downstairs WC. On the first floor there is the main bedroom with a dressing room along with a en-suite and a further two more bedrooms. You will find on the third floor another bedroom with a further en-suite, family bathroom and another two bedrooms. The property further benefits from gas central heating, double glazed windows and is well decorated and presented throughout. Outside there is double driveway leading to the double garage and an enclosed rear garden. This is a real gem of a property with real presence ideal for a family that wants space in a great location. Laminate flooring, access to the stairs, coving and a radiator. Low level WC, basin, radiator, and a double glazed window to the front. Two double radiators, coving, two light points and a double window and a patio door the the rear. Range of wall and base units complemented with a work surface, filter hood, fridge freazer, dishwasher, sink unit with mixer taps, laminate flooring, three radiators, gas boiler, room for a generous table, large seating area to the rear, double glazed windows to the front, side and a large double glazed window to the rear along with a double glazed patio doors to the side leading into the rear garden. Range of wall and base units complemented with a work surface, sink unit with mixer taps, radiator, plumbing for a washing machine, room for a dryer and a double glazed door to the rear. Double glazed window to the front, radiator and a cupboard. Radiator, double glazed window to the front and coving. Fitted wardrobes, radiator and double glazed window to the side. Full size panelled bath, double shower cubicle, basin, low level WC, radiator and a double glazed window to the rear. Radiator, coving and a double glazed window to the rear. Radiator, coving and a double glazed window to the front. Double glazed window to the front, fitted wardrobes, coving and a radiator. Double shower cubicle, basin, low level WC, radiator and a double glazed window to the rear. Double glazed window to the rear, fitted wardrobes, coving and a radiator. Double glazed window to the front, fitted wardrobe, coving and a radiator. Panelled bath, shower cubicle, basin, low level WC, radiator and a double glazed window to the rear.